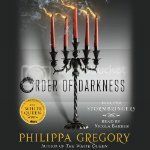 I previously reviewed the first book in the Order of Darkness trilogy, Changeling. Luca and Isolde have a growing relationship and are happy that they will be able to continue traveling together for the foreseeable future. Their plans are halted, however, when a young man named Johann arrives in town leading a veritable army of children who claim to be on a crusade, sent by God. Johann has been prophesying, but when one of his prophecies comes true in an unexpected manner, Luca, Isolde, and the rest of their party find themselves in mortal danger. In Stormbringers, Gregory does a great job telling a new complete story as well as forwarding the stories of Luca and Isolde, their relationship, and the lives as a whole. I am most intrigued to continue learning about this order Luca finds himself working for; I am fairly certain that I know where Gregory is going with this, and I think it has wonderful potential. 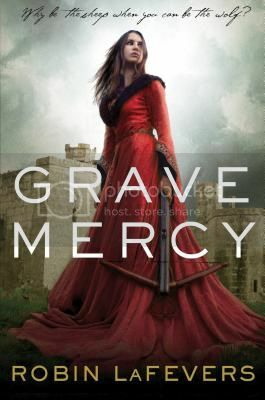 If anything, I find myself looking forward to the third book in the trilogy even more than I looked forward to this one. Initially I was disappointed that Charlie Cox was not selected to narrate Stormbringers after narrating the first book in the series, Changeling. I had fond memories of his narration and the switch from a male to a female narrator is kind of a big difference. However, with a third person point of view and a cast very nearly equally split between male and female characters, the gender of the narrator does not really matter here, and once I got used to Nicola Barber being the voice of Stormbringers I actually found her quite good. One thing Barber really excels at is bringing out the humor in the secondary characters, two of whom can be really quite funny. She is good overall, though, and by the end I was pleased by Cox’s replacement, even if I’m not sure why he was replaced. 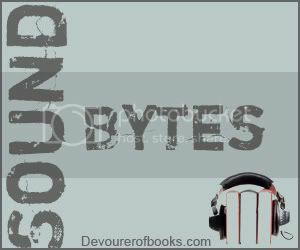 I am really loving this series, particularly in audio. I can’t wait until the next one comes out! Highly recommended.